Picture it, Manka’s Inverness Lodge, San Francisco Bay Area, December 27th 2006, 2:30 a.m. A wind and rainstorm is passing through the area and causes a tree to crash into the back of a building near a water heater. A fire ignites. The historic lodge’s chef and co-owner, Daniel DeLong, is pulling items out of the inferno when someone begins to help him. It’s none other than actor Jake Gyllenhaal, 26. “[He] was helping me pull things out of the fire,” DeLong told a local newspaper. 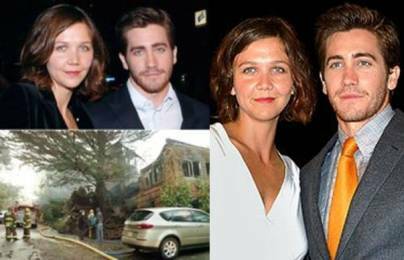 Jake and his sister, actress Maggie Gyllenhaal, 29, and their family were staying at the two-story wooden inn. When the blaze began, eight people were upstairs in the lodge while other guests were scattered on the property in cabins. No one was injured and only the lodge burned. In response to his heroic efforts, Jake Gyllenhaal said, “We just do what we do.” True, but not all of us run toward the flames.